Article first published as Nigeria Police Re-arrest Boko Haran Man With Voodoo on Technorati. 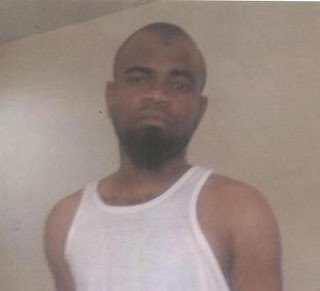 The fleeing mastermind of the Christmas Day bombing of the St. Theresa Catholic Church, Madalla, Alhaji Kabir Sokoto has been rearrested by the police at the Nigeria-Chad border. Kabir Sokoto was said to have escaped while being conveyed to Abaji by the Police for further investigations on Monday. According to Pointblank News Alhaji Kabir Sokoto was rearrested with the help of a voodoo man, Alhaji Ali Quran, who according to the news, is an expert in apprehending criminals. Weird as this unconfirmed news may sound, I do not believe the Police would further soil its reputation by telling Nigerians that they relied on voodoo to apprehend a criminal suspect. The Police cannot make this public except they want us to believe that this source has been there all the while yet criminals go undetected for several years after committing crimes in the country. If the police ever told us that, it also means they now have a breakthrough in arresting criminal elements in the country and that they are assuring Nigerians that each time a serious crime is committed in the country, it would no longer take the police several years to look for the perpetrators since they now have a sure shortcut to getting those involved apprehended. But why is this kind of solution coming on the heels of the 24 hours ultimatum given to the IG (Hafiz Ringim) to get the fleeing criminal or lose his job? Why is it that each time a policeman in killed by criminals it takes few days for them to apprehend the culprits but takes several years to do so when civilians are involved? Nigerians now know better. The police have never been trusted because of the shoddy ways they have always handled crimes in this country. Is the inefficiency of the Nigerian police due to the fact they are ill-equipped or it’s simply because they do not want to work? Could it also be that the criminals pay their dues and get police cover and get away untouched because they are never truly investigated? Why are they able to act effectively when a senior police office gets hurt or when there is an ultimatum issued to them? Your guess is as good as mine. Until something radical is done the Nigeria Police would continue to take the masses for granted. For years the police have been deeply involved in corruption – collecting of #20 from drivers at checkpoints under coercion, giving backup to political thugs, demanding illegal bail money, framing up innocent citizens, false witnessing in courts, etc. and now it is a case of giving protection to members of Boko Haran and aiding their escape from custody. Now that the image of the force is badly battered, the best thing to do is for President Goodluck Jonathan to get a man who can be trusted to clean up the entire system. He should at least boycott the normal protocol of appointing an IG by rank since almost all the senior ranking officers are already corrupt. He should get someone who would be willing to die for his fatherland to do the internal cleansing. Until this is done Nigerians may never have faith in the police anymore.